"I am really grateful to them because in recent days it has not been easy to find people to help me and I think this project can have a future in cycling." 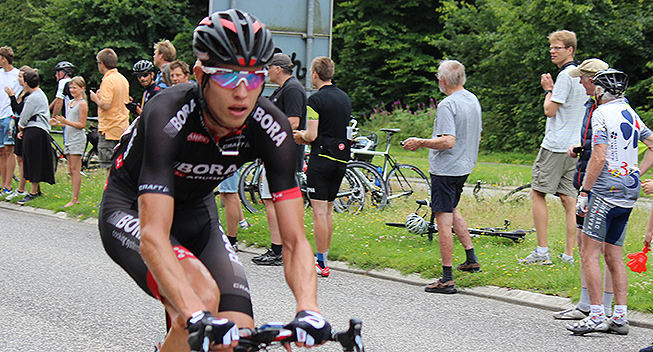 It was not until the beginning of 2017 that Bjorn Thurau could find a team. Not retained by Wanty-Groupe Gobert, the German rider has finally signed a contract with Kuwait - Cartucho.es as he revealed in an interview with RadSport-News. While the team has not yet announced the arrival of the German fighter, he will in all likelihood be a teammate of Davide Rebellin and especially his compatriot Stefan Schumacher who had an important role in his recruitment. "The contact was through Stefan (Schumacher)," explains Thurau. "He wanted me at his side to develop the project. I am really grateful to them because in recent days it has not been easy to find people to help me and I think this project can have a future in cycling. There are always more nations in the Middle East trying to emerge in cycling and maybe something is can be born like in Barhain and Abu Dhabi." The former Europcar and Bora rider will wear new for the fourth time in four seasons.